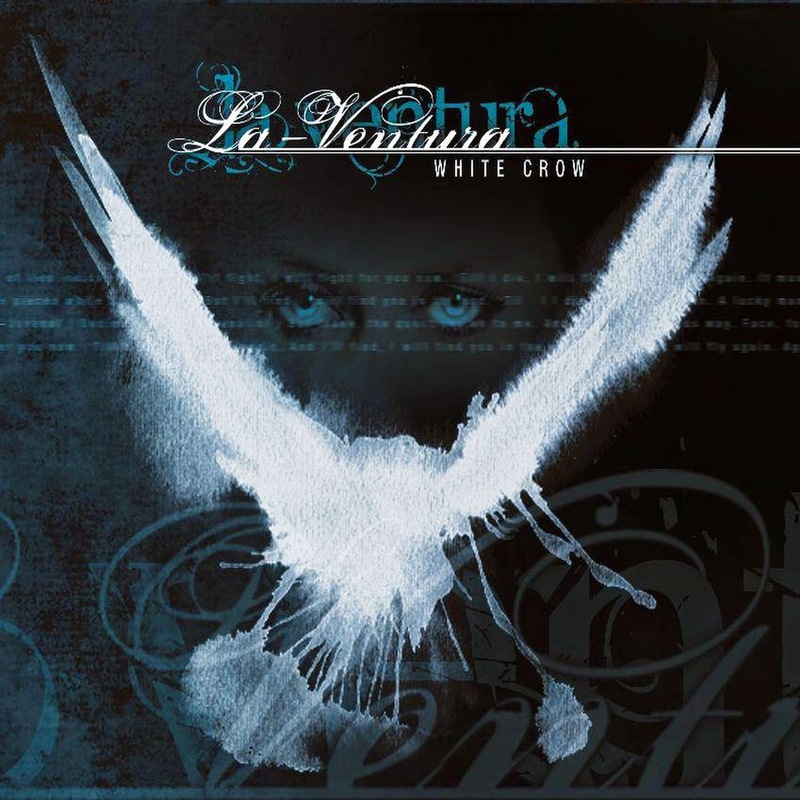 Although typically filed as a gothic/symfo metal outfit for easy categorization La-Ventura uses both genres as mere starting point for something altogether more compelling. 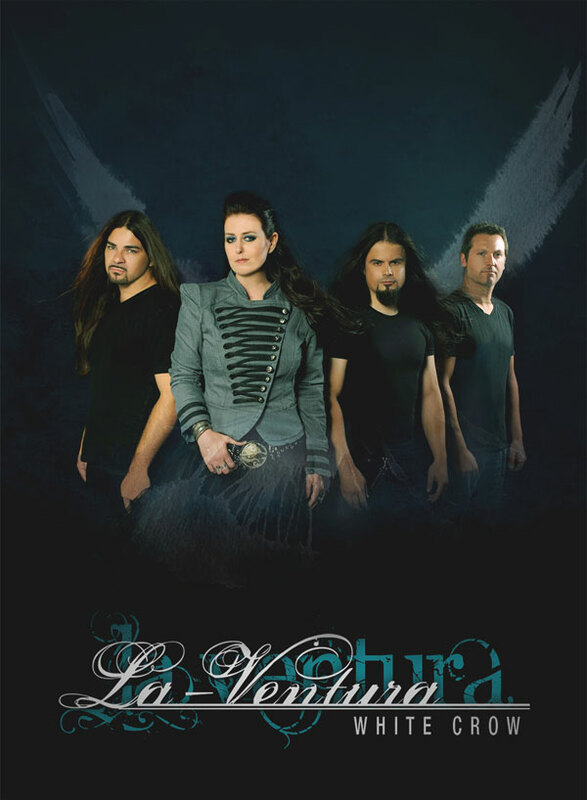 La-Ventura play far heavier and technical than the average gothic – or symfo metal band. The album title symbolically refers to the intangible. Segments of ‘Falling Down’ border on the progressive. The most easily digestable song is ‘Song For An Idiot’ which the band smartly capitalized on by making it the subject of a music video. ‘White Crow’ and ‘Human Vanity’ are re-recorded tracks from the 2009 “Breaking the Silence” EP. ‘Drowning’ is the only song of the record that fits the typical gothic metal mold. The almost complete lack of pervasive keyboards make the record refreshingly metallic, as do the prominent bass licks. When keyboards do appear, played by studio musician Jos Houtzager, they are inobtrusive and purely supplemental. All songs were written by bass guitarist Michael Saffrie, except ‘The Only One’ was written by guitarist Sacha Kondic – and it has, unsurprisingly, the most acrobatic riffing of the entire album. The title track is easily the most ear-catching because of its piano intro that is somewhat reminiscent of Pink Floyd’s ‘The Great Gig In the Sky’. Carla van Huizen-Douw is blessed with an emotive rock voice, and while she can easily hit high notes she never pushes into operatic territory, and sings what fits the music best. She can actually sing without aide of studio enhancements and trickery. van Huizen-Douw’s vocals are more akin to Amy Lee (Evanescence) than the well-known operatic divas of the genre, although she occassionally will pull out all stops as on ‘Time and Time Again’. From a compositional point of view La-Ventura is more of a heavy rock band than a stereotypical symfo/gothic band. Likewise is the band’s metallic aspect a mere vessel to get its intended point across, but the band is never limited by or to it. None of the usual symfo/gothic genre trappings apply to La-Ventura as such. La-Ventura has none of the symphonic pompousness that often ends up crushing lesser bands under its weight, nor do they write seemingly interchangeable saccharine, syrupy thinly-veiled pop songs with incidental heavy guitars and drums under the guise of gothic metal as many far less talented and musically gifted bands of this ilk are, sadly for all involved, prone to do. Even with but a single guitar at its disposal La-Ventura is far more adventurous in its songwriting and technically stronger than many of its contemporaries with dual guitars. The prominent bass lines are another thing that differentiate the band from the crop. In the more populist variations of the symfo/gothic genre the bass guitar usually plays a secondary, or tertiary role. Not so with La-Ventura as the bass guitar not only features prominently within its music, many a time it is integral to the very compositions. As is typical for the genre the drumming is subordinate to the other instruments, although it stands to reason that Renzo van Poecke provides far more interesting beats, fills and patterns than the average symfo/gothic skinsman. Whereas most only serve to keep the beat and stay on time van Poecke is allowed to integrate interesting fills whenever the music allows. This is another important facet wherein La-Ventura differentiates itself from the vanilla, bubbly pop metal that pervades this genre to its everlasting detriment. “White Crow” was recorded and mixed at MII Recording Studio, France, 2010-2012 with Didier Chesneau producing. The album was mastered at Electra Mastering, France by Bruno Gruel. The crystal clear analog production puts many of the band’s big label contemporaries to shame. It is both pristine without any overproduction, or simply too slick sounding. The crunchy guitar tone and concrete bass guitar tone deserve a special mention. The digital artwork was rendered by Eddy de Putter (of Dutch technical thrashers Mindlink). Additionally high quality music videos were shot for ‘Falling Down’ and ‘Song For An Idiot’ to give the album the required marketing push. No expenses were spared to make the album the best it would be, as there also was a limited run special edition 6 panel digipack, with 16-page booklet and 2 bonustracks. In terms of presentation La-Ventura is among the more professionally-minded of their ilk. The album was released independently in physical and digital format in 2013. “White Crow” was licensed to British label imprint Ravenheart Music for UK/Ireland. German label Valkyrie Rising re-released the album for the Germanophonic territories in 2014. La-Ventura proves that the Dutch symfo metal scene is as potent as ever, even though it apex was clearly during the second half of the 1990s. “White Crow” is a testament to the fact that symfo metal bands can do far more than write thinly-veiled saccharine pop songs. The album is a good deal heavier, technical and ambitious than the average record in the genre. In many ways “White Crow” is reminiscent of the classic Dutch genre record “Mandylion”, the 1995 breakthrough record of former death/doom metal outfit The Gathering, in the sense that it is catchy, heavy and adventurous without losing sight of its symfo metal sensibilities. It also makes no qualms about its frontwoman Carla, who is respected for her vocal abilities first – that she’s attractive is a bonus. In conclusion, La-Ventura combine the best elements of the symfo – and technical metal styles without doing concessions to either. “White Crow” is indeed a rare record.